Are you sure you want to remove Secrets to Setting Successful Goals... That Will Literally Get You Anything You Want! from your list? 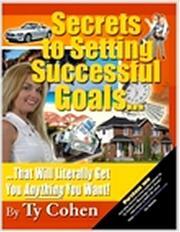 Secrets to Setting Successful Goals... That Will Literally Get You Anything You Want!